20 stocks bought back a total of 45 million shares. For the month of May, 20 stocks repurchased 45 million shares for a total consideration of $138m, SGX Research revealed. 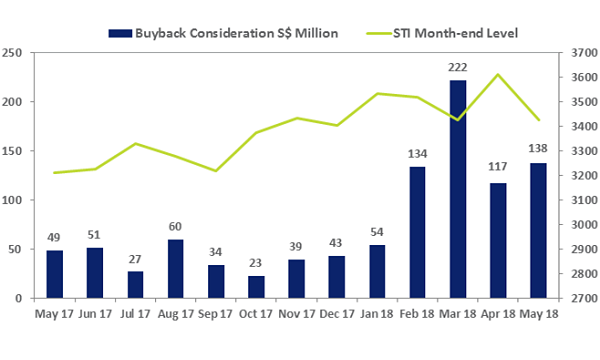 The buyback consideration was up 18% from the $117m reported for the previous month and up 138.76% from $49m last year. "Seasonal corporate activity saw earnings in focus for the first half of May," SGX Research said. "Dividends also pared the decline of the STI in May to 4.3% and decline of the FTSE ST Small Cap Index to 1.2%." 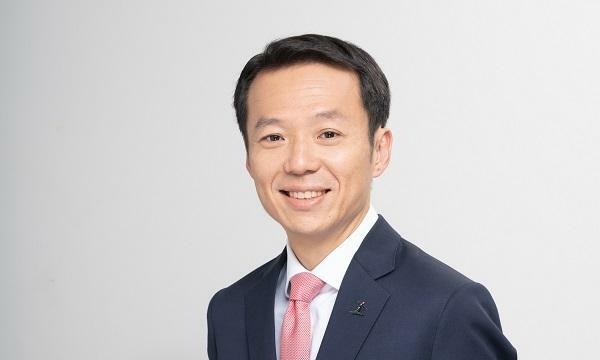 Amongst these 20 stocks, 13 started new buyback mandates: CapitaLand, OCBC, Yangzijiang, Hi-P Int, HRnetGroup, SPH, CSE Global, ST Engineering, Best World Int, Straco Corp, Bonvests Holdings, Spackman Entertainment, and Zhongmin Baihui Retail. 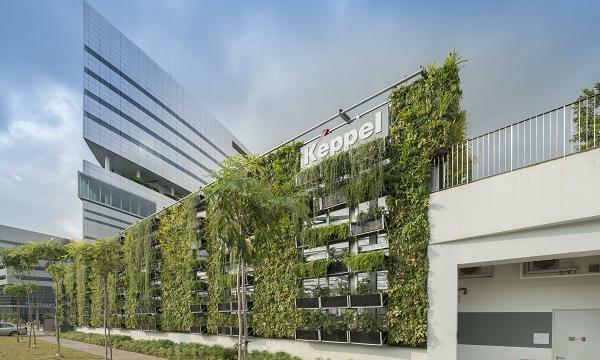 The five stocks with the largest buyback consideration value last month were CapitaLand, OCBC, UOB, Venture Corporation, and Silverlake Axis, which made up 85% of the $137.9m in total consideration. Together, the STI constituents – CapitaLand, OCBC, UOB and Venture – made up as much as $112.7m (81.73%) of the $137.9m in consideration.